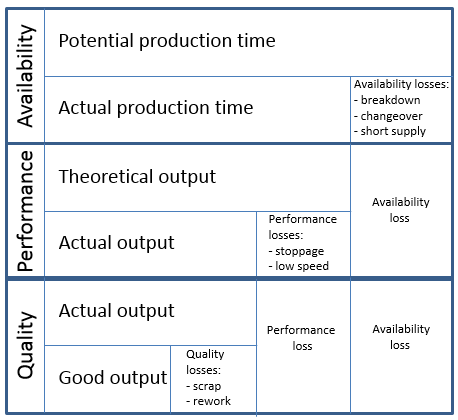 XLReporter provides Overall Equipment Effectiveness (OEE) reports improve production and quality. 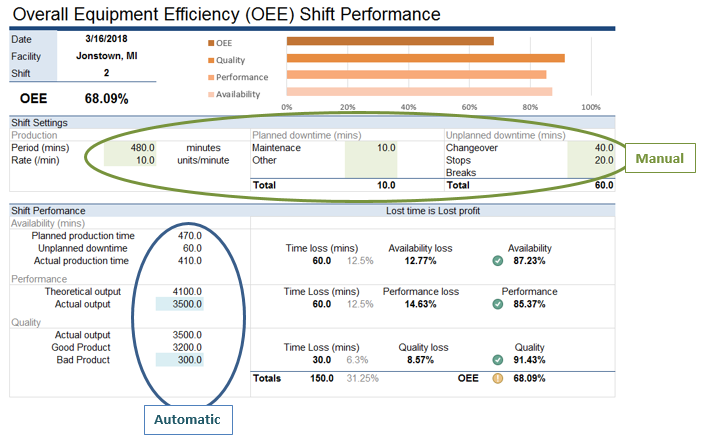 Overall Equipment Effectiveness (OEE) was developed in Japan in the 1960s as a way to evaluate how effectively a manufacturing operation is utilized. It is a core metric used in Total Productive Maintenance (TPM) and is usually used for measuring improvement. 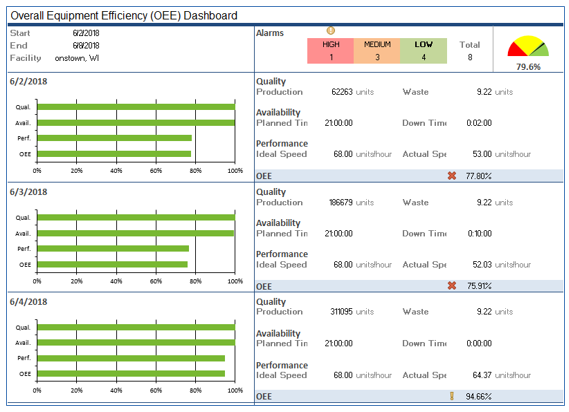 XLReporter combines raw process data e.g., equipment runtimes/rates and manual data e.g., production targets, to present OEE reports and dashboards. A big mistake most people make is to believe OEE is simply a score. On the contrary, if interpreted correctly it helps production and management to identify equipment losses and waste. How Fast are we Running. This is Performance and measures speed loss. This is Quality and measures quality loss. XLReporter templates are designed in Microsoft Excel, an ideal platform for expressing OEE calculations and formulas. The data for the report is a combination of process data and manual data which are both supported by XLReporter. In fact, for manual data, forms can be designed for the operator to manually record downtime and other values not readily available in the process. An additional benefit is XLReporter's automatic distribution capability e.g., web pages, which will keep production and management up-to-date with productions effectiveness.